By the time a man is old enough to shave, one usually knows how many things smell. A rose, lemon, orange, lime, etc. You sort of know what you like and what you don't. One mans good scent might be another's bad scent. Its a personal thing. Some things, I really don't know how they smell, in fact, never hearing of them until I read the labels, for example, petigrain. I had to Google that one to figure out what it was. In any case, I've seen some scents and though I probably would hate them. There was no way I would ever drop $15 - $20 for complex scents not knowing how they smelled. I am very thankful for samples. I have no idea how petigrain, cardamom, and marigold smell together. If you do then you know more than me. So I reluctantly ordered samples of Mystic Marrakesh (Patchouli, cedar, cinnamon, lime and other stuff). I tried it the other day and wow - it smelled to me just like A Holiday Winter Bazaar, a good winter scent. It rocked. Who knew? A few days later I tried another combination of Lemongrass & Blue Gum Menthol. I knew Blue Gum was a tree but Lemongrass? I tried that and loved it. It was a good lemon/eucalyptus scent with a touch of menthol from peppermint. I thought it would be really good as a summer scent on a hot morning? Who knew? I think for soap makers, there is a message here. Sell Samples. I'm guessing time & cost is a factor. I believe there was a thread about this somewhere else on the forum. I know maggard's sells a lot of samples that they put together on their own, iirc. I adore sample programs, both when it comes to shaving products and fragrances. I find that it helps me overcome any resistance I might have to making the purchase, so long as the product itself is good. I've used Maggard's, Old Town, and artisan services (like Mystic Water) many times, and will continue to do so in the future. Nothing is more disappointing than ordering a full sized product and discovering that it is not for me. I, also, really enjoy samples as it can be quite challenging to pay $15 + for a soap and not enjoy it when it arrives, which has happened, quite often. I don't see how a soap artisan can avoid this issue as scent is very subjective and if they want folks to try their soaps, then this would be extremely helpful. Why don't we "trade" our own soap samples? The reality is I'm never going to get to the bottom of the majority of my soap jars, particularly the hard soaps in 6oz and 8oz containers. Could be an idea for the BST ... all you need is a scale and small plastic containers. We could do "10 for 10". 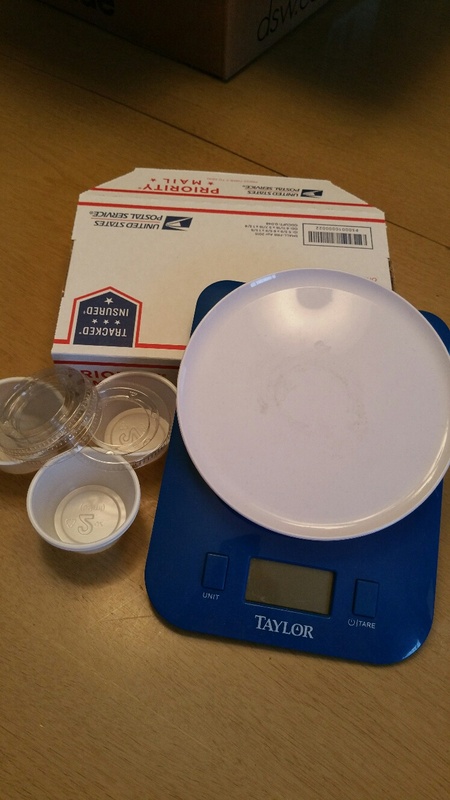 Shipping would only cost a few bucks, less than a dollar per sample. That's a great idea jnaff811. Oh man that is a super idea! I would even be willing to list what I have in the den and let someone choose their samples. That sounds like a superb idea! I'm ready! I think what we would need to do is create a sub-folder, then post our "available soaps". Work individually (using PM's) to complete deals. The attached picture shows a few small plastic containers my wife picked up at GFS in bulk. These are 2oz size, they are super-cheap and come in all sizes (1oz, 2oz, 4oz). We'd need to decide on the quantity per sample ... I suggest somewhere between .25oz - .5oz.